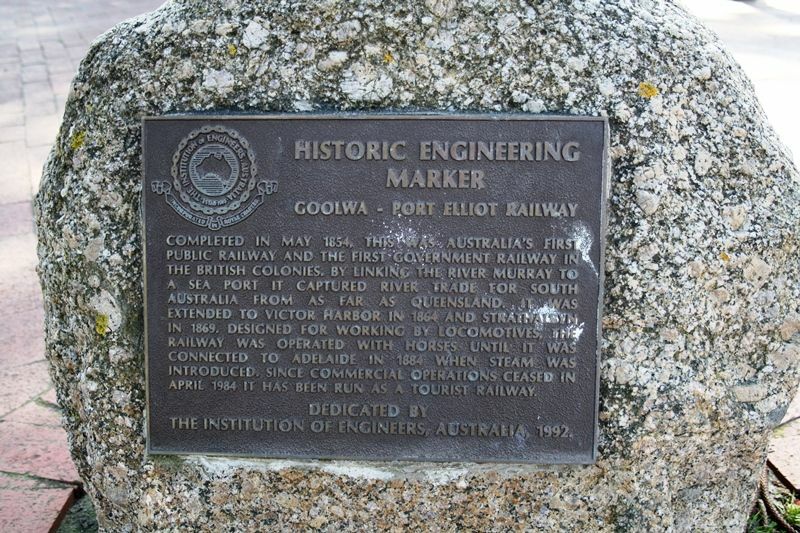 A Historic Engineering Marker commemorates the Goolwa to Port Elliot railway, which was the first constructed in Australia in 1854. Completed in May 1854, this was Australia's first public railway and the first Government railway in the British Colonies. By linking the River Murray to a sea port it captured river trade for South Australia from as far as Queensland. 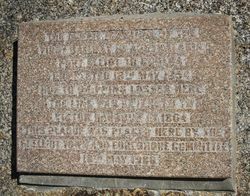 It was extended to Victor Harbor in 1864 and Strathalbyn in 1869. Design for working by locomotives, the railway was operated with horses until it was connected to Adelaide in 1884 when steam was introduced. Since commercial operations ceased in April 1984 it has been run as a tourist railway. 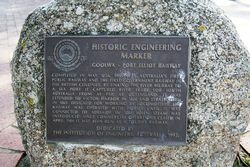 Dedicated by the Institution of Engineeres, Australia, 1992.